It FINALLY feels like Fall around here, after a long night of rain on Monday! I woke up to some cold yet crisp air the next day and it was quite enjoyable! I've got my hands on this longline wool sweater coat from Jigsaw London for a couple of weeks now and I am so glad to finally wear it! 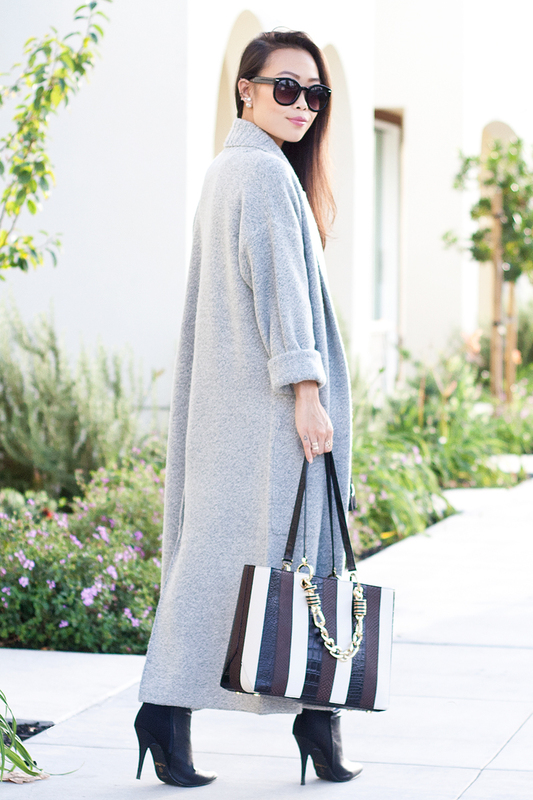 It is the perfect shade of the gray, the perfect length, and the perfect amount of coziness! I paired it with a textured top, suede skirt with grommet details, statement striped satchel from Henri Bendel, and over-the-knee boots. Dressing it up isn't the only way to go, I also wore this sweater coat with sneakers when I went for a hike over the weekend (see this Instagram shot). 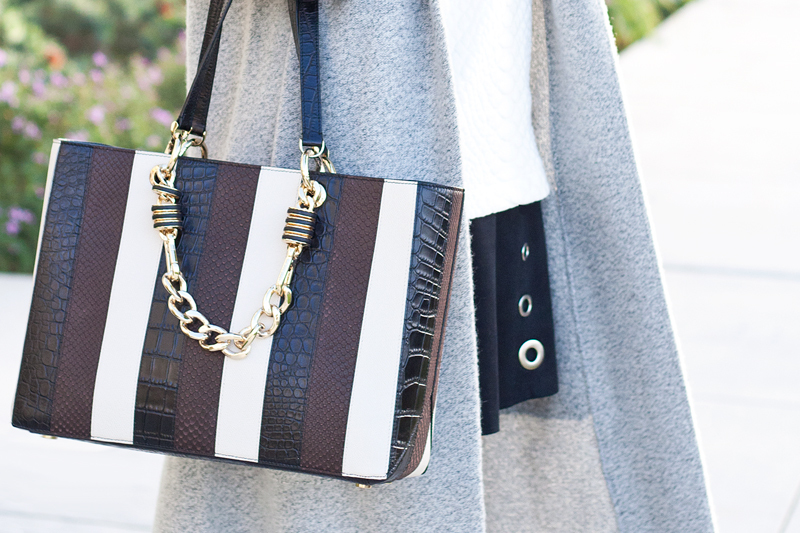 Don't you just love a piece that is timeless and versatile like this? Longline wool sweater coat c/o Jigsaw London. Textured top from Old Navy. 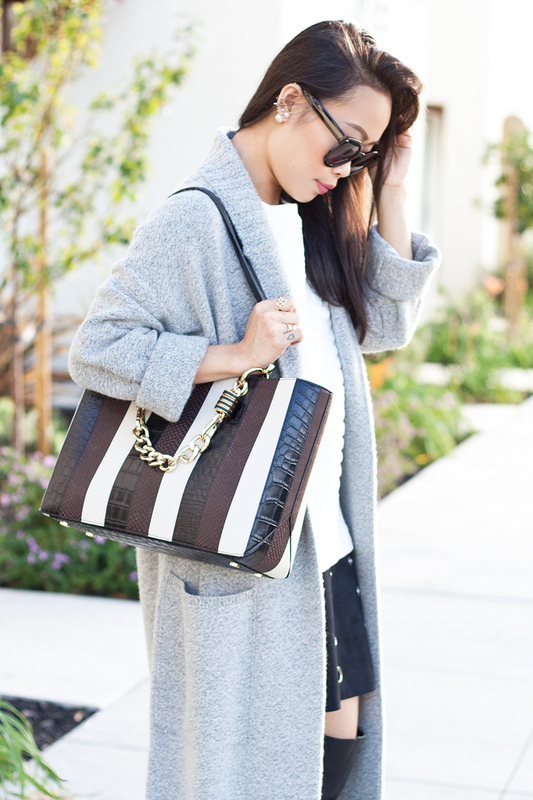 Striped leather satchel c/o Henri Bendel. Over-the-knee boots (old but similar here, here and here). I love your coat! The length looks amazing for you! The colours in your bag look amazing!